Readers of Time were recently treated to an absurd take on Ukraine, Putin, "the West" and a bunch of other stuff by journalist Robert D. Kaplan, "chief geopolitical analyst" of Strategic Forecasting, Inc., popularly known as Stratfor. Stratfor bills itself as a "private global-intelligence firm" that provides "strategic intelligence on global business, economic, security and geopolitical affairs." Some bamboozled critics and fans call it "the shadow CIA." Its mocking critics claim "Stratfor is just The Economist a week later and several hundred times more expensive." In addition to having its interns use Google to "gather intelligence," Stratfor reportedly operates by paying corporate and foreign policy informants via Swiss bank accounts and prepaid credit cards for inside information that it then repackages as "analysis" and peddles to those of its 300,000 subscribers and clients--who include Dow Chemical, Lockheed Martin, Raytheon, the US Marine Corps, the Defense Intelligence Agency, Henry Kissinger, and Dan Quayle--foolish enough to pay for it. It also follows the online antics of activists (including PETA and the Yes Men), "monitors the media" (for, among other things, coverage of Union Carbide's chemical massacre in Bhopal twenty years on), and provides "information on the financial sector." 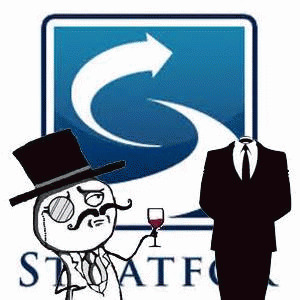 Anonymous hacked Stratfor email servers two years ago. The hackers turned over five and a half million emails to Wikileaks which published them on the web. From the emails we learned that Russia and Israel sold out arms deal customers to their enemies, the US has a sealed indictment against Julian Assange, unnamed Pakistani intelligence and military officials knew the whereabouts of Osama bin Laden, and other such not very surprising nuggets. According to his Wikipedia page (from where this biographical background comes), Robert D. Kaplan, a national correspondent for The Atlantic, is a New Yorker who served in the Israeli army, traveled around a lot, and reported on fundamentalist resistance to the Soviet occupation of Afghanistan for Readers Digest. His 1993 book Balkan Ghosts allegedly convinced Bill Clinton "against intervention in Bosnia," a result Kaplan found appalling. Kaplan or whoever wrote his Wikipedia entry, fails to explain how Clinton's 1999 war against Serbia, complete with thousands of bombing sorties (including against the Chinese Embassy in Belgrade), massive industrial destruction, grievous civilian casualties, and lasting environmental damage constituted non-intervention. In 2000, Kaplan published "The Dangers of Peace," in which he warned that the United States was at risk from peacetime's "numbing and corrosive illusion." He's consulted for the Army, Marines and Air Force. He's lectured at war colleges, the FBI, the NSA, the CIA and the Joint Chiefs. These institutions embrace people like Robert D. Kaplan because he tells them what they want to hear. Kaplan not only "participated in a secret meeting convened by then Deputy Secretary of Defense Paul Wolfowitz," he also "helped draft an internal government document advocating the invasion of Iraq." In case you wondered, "[Kaplan] later concluded that the war had been a mistake and expressed deep remorse for supporting it." And in case you wondered how foreign policy analysts or lawmakers--Kaplan was one of many--murderously wrong about one of the most momentous military decisions of their lifetimes could escape professional sanction, to say nothing of permanent banishment to the Island of Perennially Mistaken Pundits and Politicians, it's quite simple. Kaplan, like John Kerry, Hillary Clinton, Fareed Zakaria, and Tom Friedman, erred on the side of Empire. Kaplan made an Excusable Foreign Policy Error on Iraq, one that called for Shock and Awe when the facts did not warrant (similar but not identical to a Type I error in statistics). Excusable Foreign Policy Errors are the norm in Washington, D.C., whole careers are constructed upon them. It's permissible to mistakenly counsel waging illegal war. Just don't mistakenly fail to counsel waging war. Despite the cost in lives and coin, these errors do not challenge but rather reinforce the prevailing ethos of crackpot realism and imperial hubris, gargantuan defense budgets and the dominance of the military-industrial complex. Tom Friedman called him "one of the 'most widely read' authors defining the post-Cold War world." Kaplan's most recent contributions to The Atlantic: "In Defense of Empire" (April 2014) and "In Defense of Henry Kissinger" (May 2013). You get the picture. Kaplan's Time article is entitled "Old World Order." 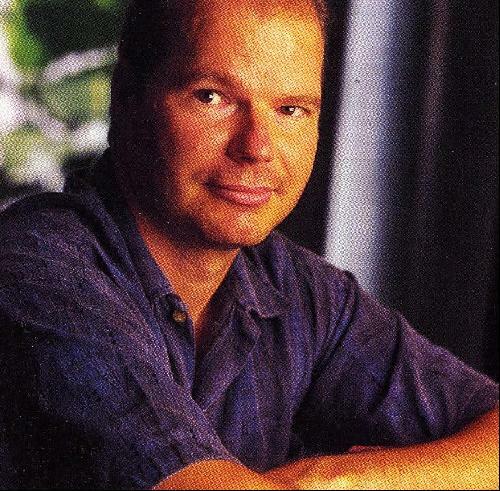 His thesis: "the global elite" was wrong about how the twenty-first century would unfold. Rather than economic interdependence, cooperation and adherence to civilized international norms, our young century still runs on "territory and the bonds of blood that go with it." He skewers John Kerry for his response to Putin's "virtual annexation" of Crimea: "It's really 19th century behavior in the 21st century," claimed Kerry in what Kaplan calls "disbelief bordering on disorientation." Kaplan will set Kerry, his global elite mates, and the rest of us straight: "Forget about the world being flat [take that Tom Friedman!]. Forget technology as the great democratizer. Forget the niceties of international law." For Kaplan, "the nineteenth century lives on, and always will." Kaplan's evidence for the never-ending nineteenth century: "the rest of the world still thinks in terms of deserts, mountain ranges, all-weather ports and tracts of land and water." Thanks to Putin, "the world is back to the maps of elementary school as a starting point for understanding of history, culture, religion and ethnicity--not to mention power struggles over trade routes and natural resources." He provides a reading of the Crimean crisis that completely ignores the role of the United States and European Union in toppling Yanukovich. We do not learn about Victoria Nuland's blatant manipulation of Ukrainian politics, US support for the coup in Kiev, or the critical role of honest-to-goodness neo-fascist thugs. Instead, it's all about Putin, "flat topography" and a "porous border" between Russia and Ukraine. Kaplan's account also ignores the longer-term run up to the crisis. NATO has been steadily creeping eastward since the collapse of the Soviet Union absorbing central and eastern European states that were once members of the Warsaw Pact (contrary to a promise George H.W. Bush made to Boris Yeltsin). Even Ukraine and Georgia were on a path to NATO membership. Strong protests from Moscow over the years were met by condescending assurances that the Russians had nothing to fear. Consider the consternation were Canada to join an anti-US military alliance. Years-long disputes over US ballistic missile defense emplacements in Poland and the Czech Republic--ostensibly aimed at Iran--took similar form. Unhappy if diplomatic Russian gripes gave way to growing bellicosity as the US downplayed the deployments. Imagine the US response were Russian missile interceptors deployed in Cuba or Mexico. George Bush and Barak Obama's Departments of Defense and State, Vice Presidents, National Security Advisors and Ambassadors to the United Nations poked Medvedev and Putin in the eye at every opportunity over the past decade and a half in order to humiliate the Russians, to remind them of their diminished role not just on the world stage but in their own neighborhood. Kaplan provides a comparably compromised explanation of geography's centrality to "the post-Arab Spring fracturing of artificial Middle Eastern states into ethnic and sectarian fiefs." It's full of silly comparisons between "Western policymakers and thinkers' coolly rational" beliefs and those of rulers of other places still thinking in "narrower terms: those that provide advantage to their nations or their ethnic groups only." Artificiality is not blamed on European or American imperialism. Fracturing and national advantage are not sourced to George Bush's occupation of Iraq, or to NATO's takedown of Gaddafi. The "Arab Spring was hailed for months as the birth pangs of a new kind of regional democracy;" no it wasn't. Washington shuddered at the prospect of a democratic Middle East and North Africa. Witness Hillary Clinton's embrace of Mubarak till the very end. The Arab Spring "quickly became a crisis in central authority producing not democracy but religious war in Syria." Kaplan neither supports Bashar al-Assad (like those narrow thinking Russians and Iranians) nor condemns Gulf underwriting for Islamist fanatics drawn there by the opportunity to reconstruct the Caliphate. Kaplan fails to cite the violent suppression of nonviolent democratic demonstrators in Bahrain, a close ally of both United States and Saudi Arabia. The one seeming success story--Tunisia--is but "a fledgling democracy with land borders it can no longer adequately control." "Libya's collapse" into militias and gangs was due to "old-fashioned zero-sum politics" with unnamed actors rather than Western intervention. Kaplan credits the tacit Israel-Saudi alliance to the Iranian nuclear research program rather than to the overthrow of the Shah a decade before the fall of the Berlin Wall. Netanyahu's failure to negotiate a two-state deal with the Palestinians is due to the "difficulty of his relatively small air force to travel a thousand miles eastward" to bomb Iranian nuclear sites, as if the two issues were related. Steve Breyman teaches peace, environmental and media studies at Rensselaer Polytechnic Institute.